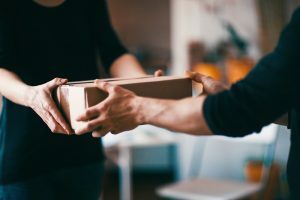 FedEx recently settled a lawsuit with the state of New York for misclassifying package delivery drivers as “independent contractors” rather than “employees.” The lawsuit alleges that classification as independent contractors meant that FedEx did not pay overtime and improperly withdrew certain deductions. The lawsuit will result in $2.1 million in payments by FedEx to the affected employees. Classifying a worker as an independent contractor as opposed to an employee is a fact-intensive analysis that should be taken seriously by all employers. Important factors include, but are not limited to, whether the employer can control/direct the worker, controls their schedule, and provides them with training. Employers should make the determination of whether a worker is an independent contractor or employee as soon as they are hired so that issues do not come up (i.e. : lawsuits) that could result in back pay and other penalties. Vetting worker-status issues at an early stage with the assistance of counsel can result in less headaches in the long term. 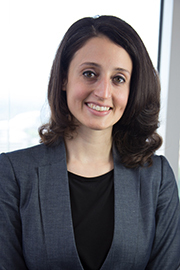 Theodora Stringham assists individuals, businesses, and organizations with growing successfully while minimizing liability. Focusing on real estate and personnel needs, Ms. Stringham executes sustainable plans for real estate development and employee matters. She provides comprehensive representation for everyday growth issues, including, but not limited to, re-zonings, site plan approvals, eminent domain/valuation concerns, employment discrimination, and disciplinary issues. Ms. Stringham’s scope of representation ranges from identifying potential liability and providing counseling/trainings, all the way through representation at trial. Offit Kurman is one of the fastest-growing, full-service law firms in the mid-Atlantic region. With over 185 attorneys offering a comprehensive range of services in virtually every legal category, the firm is well positioned to meet the needs of dynamic businesses and the people who own and operate them. Our twelve offices serve individual and corporate clients along the I95 corridor in the Virginia, Washington, DC, Maryland, Delaware, Pennsylvania, New Jersey, and New York City regions. At Offit Kurman, we are our clients’ most trusted legal advisors, professionals who help maximize and protect business value and personal wealth. In every interaction, we consistently maintain our clients’ confidence by remaining focused on furthering their objectives and achieving their goals in an efficient manner. Trust, knowledge, confidence—in a partner, that’s perfect. Find out why Offit Kurman is The Better Way to protect your business, your assets and your family by connecting via our Blog, Facebook, Twitter, Instagram, YouTube, and LinkedIn pages. You can also sign up to receive Law Matters, Offit Kurman’s monthly newsletter covering a diverse selection of legal and corporate thought leadership content.